A different approach to children learning and improving is technology. Success starts by choosing a source for your child's development. Children are open to absorb knowledge. Parents need to guide and encourage their kids for them to progress. Find out about the learning tech that can help your child. Kids enjoy hands-on experience to learn new information and skills to improve. The nabi Elev-8 Tablet is educational and has apps, movies, learning music, TV, eBooks, videos, games and Wings Learning System. The learning system provides 300,000 questions in math, reading and writing for Pre-K to 6th grade. Parents can get access to kids reports on proficiency levels. 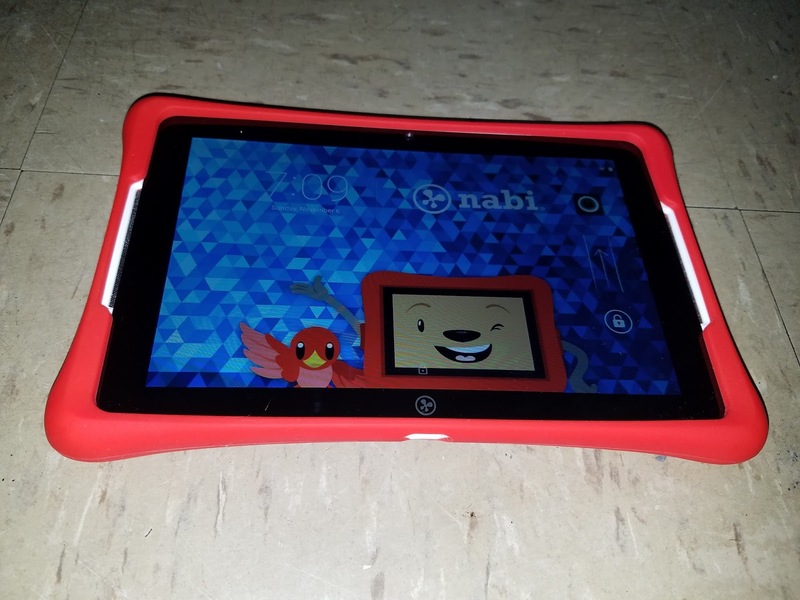 The nabi Elev-8 is a high-tech tablet giving a kid an awesome learning experience. It has up to 10 hours of video playback. The nabi Elev-8 has 32GB of memory, Oct a-core processor, 8" inch screen, weighs 1.16 pounds, Android 5.1 Lollipop and front and back camera. The tablet provides kid-safe social networking and creative kids apps. 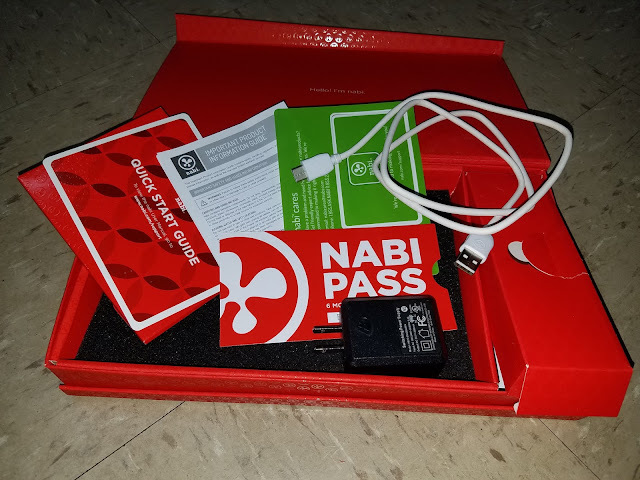 It comes with a red protective rubber bumper, power adapter, free nabi pass of 6 months promo code, quick start guide, nabi cares, important information guide and nabi box. 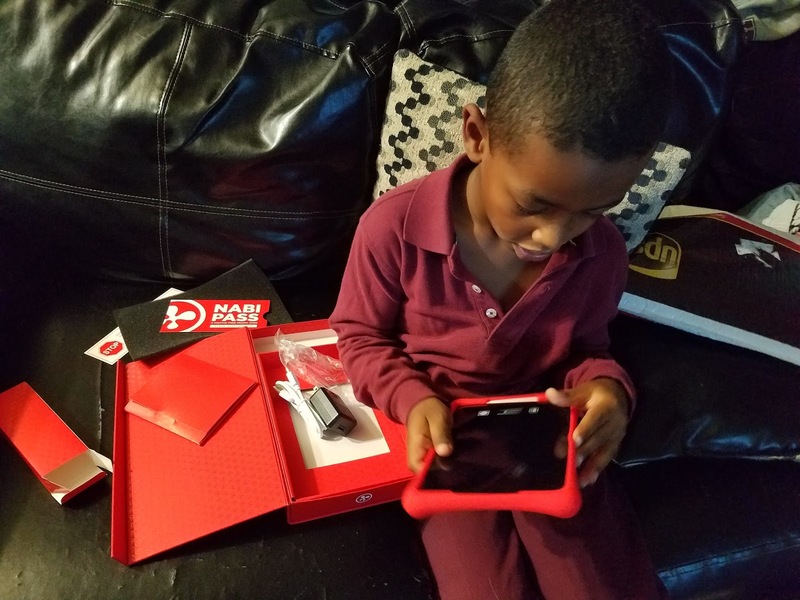 I gave the nabi Elev-8 Tablet to my son on his birthday. Davian's birthday was on October 13th. He was so excited to get the tablet. I am pleased with the features it provides my son. 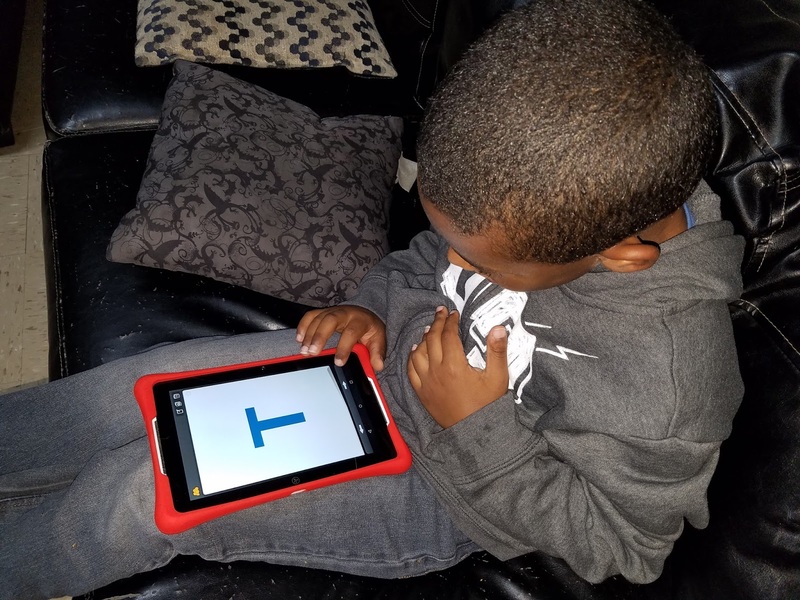 My son gets help with his reading, math, writing and enjoys the activities it offers. 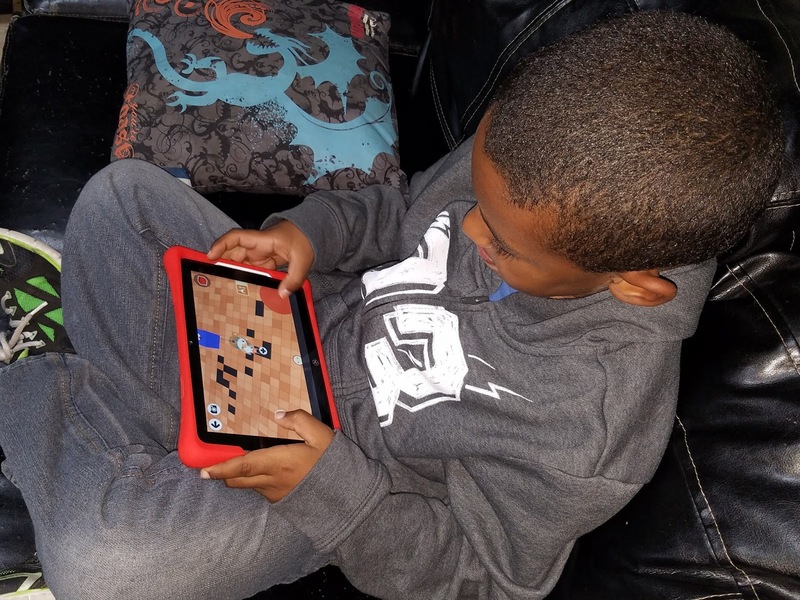 He can use the tablet for home or on-the-go. It will keep him occupied with all the educational and fun apps. 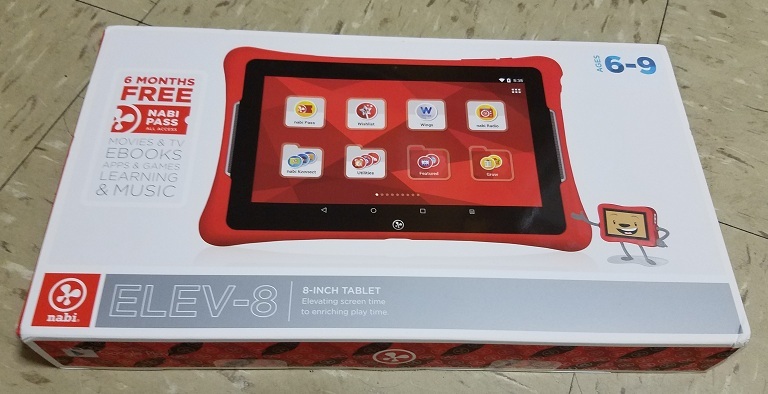 I recommend the nabi Elev-8 Tablet to parents for their kids. 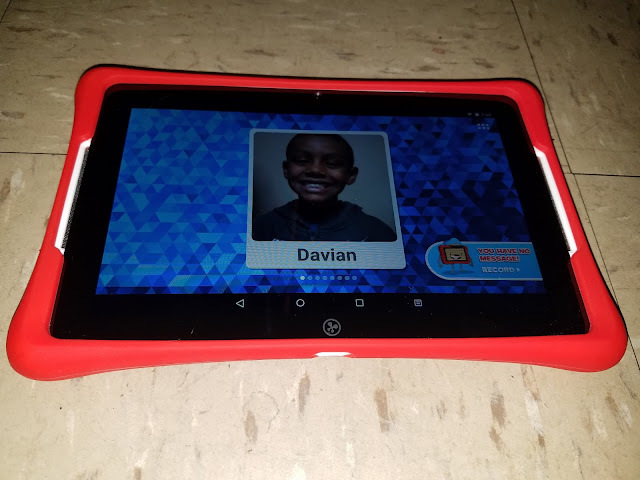 The tablet is awesome and your kids will love it. The tablet retails for $149.99. For information on the tablet visit http://shop.nabitablet.com. I love all the apps but my favorite would be the Wings Learning System. I love the (Front) 5.0 MP Rear Camera with Flash LED! I like that it provides 300,000 questions in math, reading and writing for Pre-K to 6th grade! This would be perfect for all four of my kids that are in this age range! I really like the 8 inch Touch Display the best. Love the creative kids' apps! I love the fact that is has so many apps and learning material for the little ones, my granddaughter would love this and it would be an awesome learning opportunity for her. I have a sweetie have a rough time in math this is amazing the 300,000 questions in math, reading and writing for Pre-K to 6th grade this would be such a blessing for her she is 7 and we have a little guy 3 so this will be amazing for him to get ahead for his school years thanks. I absolutely love the nabi Elev-8 Tablet Red Drop-Safe Bumper! This is perfect for the girls. They are always dropping things and most technology breaks so easily. This is great! I LOVE HOW ITS KID DURABLE. 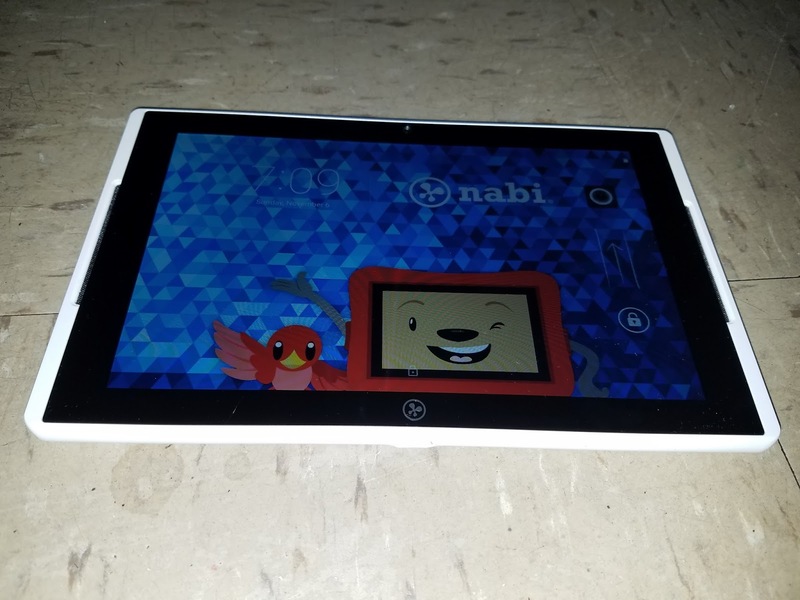 The Nabi is a great little tablet for little kids and adults too.. I like that there are 300,000 questions in math, reading and writing! I love all the kid apps! I love that you can expand the memory. Thank you for the wonderful giveaway. I like all of the apps for the kids, I also like the drop safe bumper. My kids drop everything! I love the big bright screen and the drop safe bumper! I like that is has a lot of educational apps and is able to read ebooks as well. Love the Drop Safe Bumper. My daughter would love this tablet. The processor is awesome ,and the learning system rules. I like the Red Drop-Safe Bumper. My grandson is always dropping a device of some sort. I really like the drop safe bumper because let's be honest kids aren't always as careful as they should be with things. I love the drop safe bumper. It being a child's tablet that is a needed feature. It has a kid-safe social networking which is so IMPORTANT!! I like the drop safe bumper for clumsy kids!! I like the 2.0 MP Front Camera . Love the 32GB of memory, Oct a-core processor, 8" inch screen, weighs 1.16 pounds, Android 5.1 Lollipop and front and back camera. I like that it has Android 5.1 Lollipop. It's nice that the tablet has a camera. I like the bumper and the memory. I like that it has creative kids apps. Overall I love that it is educational! I like the bumper that protects it. I like the offered warranty, bump guard, resolution and the front and rear cameras. There is a lot to love about but I like it had 300,000 questions in math, reading and writing for Pre-K to 6th grade. Parents can get access to kids reports on proficiency levels. I like the 8 inch display, camera , HD resolution and processor. I LOVE THAT the learning system provides 300,000 questions in math, reading and writing for Pre-K to 6th grade :) Great learning tool !